Only the location is quite strategic but other than that...None!! Location and the access to beach. Very cost effective and convenient. Small resort with nice gardening work . The staff, Zakaria, was most helpful and the premise was clean. But the location is ultimate for being in the centre and next to the beach. HIDDEN, literally, down an alley. 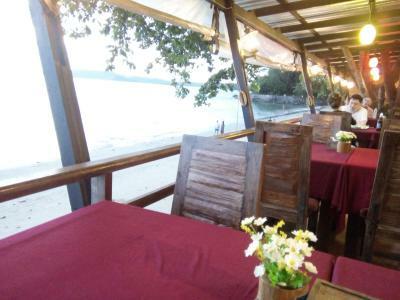 Location is excellent- we could walk out of our room and be on Ao Nang beach or at the taxi boat area within 2 minutes via the restaurant. There is even shade there. Room is large and comfortable with all basic necessities like fridge, closet with drawers, outside drying rack, etc. good enough to stay for 5+days. Plenty of things to see and do in walking distance from hotel. Restaurant at hotel is recommended, as well! Also, provided good shampoo and body wash for stay. Cleaning staff brought fresh flowers the first day of our long stay as well. We had our sheets changed 1x in 5 days, which is ok. Great balcony for second floor rooms is private, overlooking lovely greenery with lots of birds! Property location is a dream, it’s practically on the coast- separated only by their partnered restaurant. You stay tucked behind beautiful greenery with sliding glass doors and a small private terrace. The price for staying here really baffled me- and it was well worth the mosquito bites at night and the occasional cold shower. The proximity to the beach was awesome! It was a bit of a drive to a lot of the places that we wanted to go to (Tiger Temple, Emerald Pool, etc), but aside from that the location was pretty nice. It was calm and quiet where we were. The room wasn't anything exceptional, but it was comfortable and covered all of our needs. The staff was helpful, but I wish they were able to better help us with arranging tours (ended up being pretty pricey). Large, comfortable beds with a nice big bathroom. Rooms are in a garden setting right next to a pathway to a restaurant and the beach. Very easy access to beach and longtail boats. Right off the main road so it’s quieter but very centrally located. Aonang Beach Home This rating is a reflection of how the property compares to the industry standard when it comes to price, facilities and services available. It's based on a self-evaluation by the property. Use this rating to help choose your stay! One of our best sellers in Ao Nang Beach! 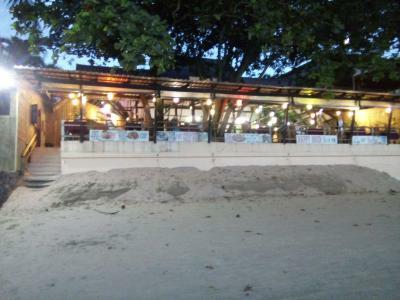 Aonang Beach Home is located 30 feet from Ao Nang Beach. 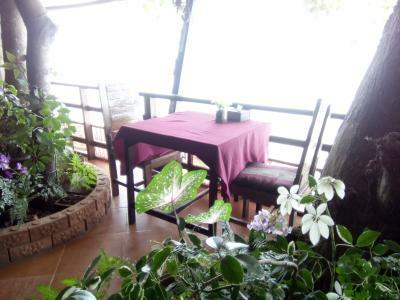 It offers modern air-conditioned rooms with free Wi-Fi and a private balcony. Guests can organize sightseeing trips at the tour desk or indulge in massage treatments. The property is a 15-minute drive to Tiger Cave Temple and a 30-minute drive to Krabi Airport. Krabi Bus Terminal is a 40-minute drive away. Rooms at Aonang Beach Home are fitted with a cable TV, a refrigerator and a safety deposit box. Free toiletries are included in an private bathroom. For guests’ convenience, the residence provides luggage storage and laundry service. Free public parking is possible in a location nearby. A variety of Thai dishes is served at Krua Ao Nang Cuisine. 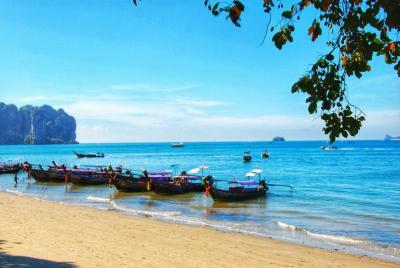 뀐 Located in the top-rated area in Ao Nang Beach, this property has an excellent location score of 8.8! When would you like to stay at Aonang Beach Home? Air-conditioned room is fitted with a private balcony. It has a cable TV, a refrigerator and a safety deposit box. Free toiletries are included in an private bathroom. House Rules Aonang Beach Home takes special requests – add in the next step! Guests who expect to check-in after 19:00 are kindly requested by the hotel to provide arrival time at the time of booking under "Special Requests". Alternatively, guests can contact the hotel directly. The contact information can be found on booking confirmation. It’s a little hard to find; signage could be better. The location is the only positive thing. They don't have kettle in the room,. The room smells funny. The toilet looks so ugly Have a lot of bed bugs. WiFi didn't work at all. They don't serve breakfast!!! Nothing. Place was relaxed and relaxing. Very friendly and helpful reception who dealt with our arrival less than an hour after booking the room. Arranged two good trips for us as well as transport to the airport. Location with access directly onto the beach was great and although the beach 'strip' was only minutes away the place was lovely and quiet. Room was cleaned and the bed made-up daily. On site restaurant and bar and plenty more nearby. Eventually stayed longer than planned. AoNang Beach Home did not respond on two e-mails about my room prebooked. Upon arrival I recognized bad attention. They wanted me to move to a smaller room than I have been confirmed, but at the same price... even if they obviously had many free rooms. Before it was all time almost fully booked. The warm athmosphare that AoNang Beach Home was famous for, is gone. I believed from the beginning it must be either new owner or new management. As I complained about the most frustrating and bad wify, the receptionist came with me to the veranda of my room, to find out. Which he hardly managed. At the same time he proudly announced, without me asking, that he was the new owner. He admitted the vast problems with Internett, which he made by purpose because his staff "stole Internett from him". He made it more difficult for the staff to use InterNet, but not recognizing it became more than difficult for his guests. He was treating his staff in a bad way. The staff before, in the "old days" were always smiling and saying nice Words. His staff now look down when meeting, and with unfriendly attitude. Breakfast is taken out since before. Even if he has the nicest breakfast "room" from anybody else. Breakfast can be bought however, in nabour resturant at € 7,50. At the same time price for accommodation only has not been decreased similar. Many negative Things. Despite visiting that place many times since ten years ago. I will find myself another acacomodation place, next time. WiFi did not work, no one was able to fix it. Shower was working poorly, water was disappearing. I liked the proximity to town and the beach. 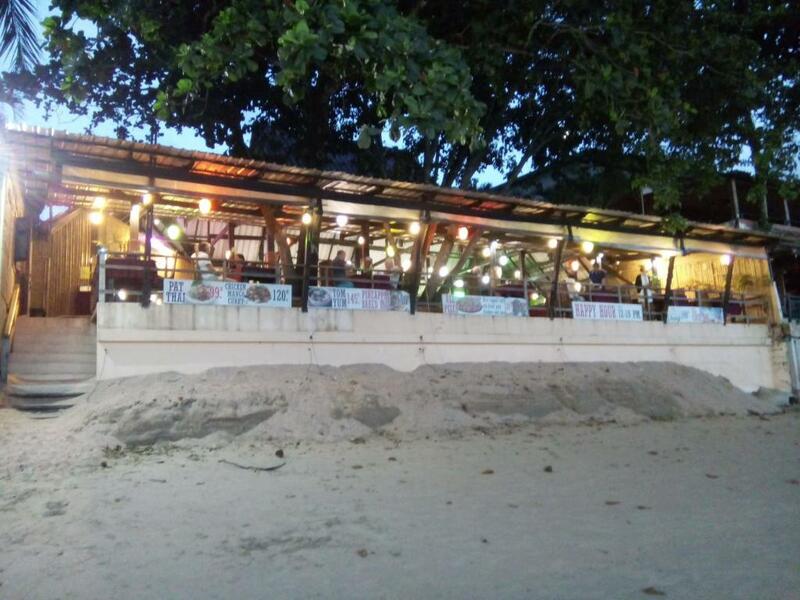 The restaraunt/bar was on beach. Staff were friendly and responsive. No hands towels, toilet didn't flush properly room needed painting. Restaurant food was awful. This is the 4th place I have stayed in at around the same price and this is by far the worst. Location is great, its so central but also really quite, garden is really beautiful. We upgraded to double bedroom. Big mistake. Woke 1 am and the bed was crawling with bedbugs.. Not a little group but infested. We quickly got out of the room. Take note, there is no security or anyone on desk duty at night. We rang the number but no one answered. Lucky for us, there were spare keys to another room on the front desk so we bundled our clothes, (making sure the ones we slept in were in plastic bags) and let ourselves into another room.. The manager did not turn up until one day later, left staff to deal with it. Understand that its a hazard of climate and so many tourists passing through. Make sure you check the beds for any look of blood spots and or dark marks on sheets. While we did stay the next night in a new room and they made us feel comfortable. I am guessing that this was not the first complaint .. but I did see them strip the room the next day and had a worker fumigate and do hot steam on curtains. Did see the manager on check out and he did seem to be sorry it happened. Otherwise.. site is good location.. The bed was a little uncomfortable for me. And I wasn't a big fan of the restaurant food. I loved this hotel! The ambience, the staff, the room! Everything was perfect. Everybody went out of their way to make our stay comfortable and helped in any way they could. And the location of the hotel is perfect! Right at the beach, in the centre of town, with everything within walking distance. The entrance of the hotel is through a restaurant, and if you don't mind that, everything else about this place is wonderful! Would definitely stay here again.